From Caboolture travel west on D’Aguilar Highway to town of Woodford heading in the direction of Kilcoy. Just out of the main area of town the first road on your left is Neurum Road. 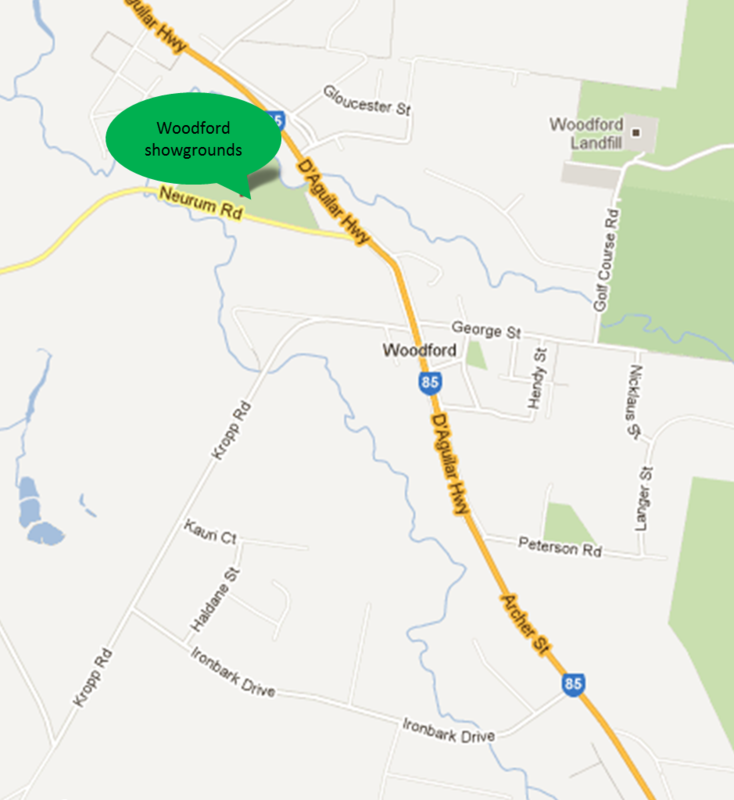 The Woodford Showgrounds is located on your right, as you turn into Neurum road you will see a yellow road sign and the entry to the grounds is directly opposite the sign. Copyright © 2019 WOODFORD SHOW. Powered by WordPress. Theme: Spacious by ThemeGrill.